I thought I was done with Halloween, but here is one more for the Friday Mashup #82. Make a project with a “Witch”. Or Make a project using “Bleach”. Or “Mash it Up” and create a project with a “Witch using a Bleach Technique“. I used an unusual amount of different products to make this card, well, I think so anyway;) For the main image, I used digital wordart from Raspberry Road Designs called Haunted Dreams Wordart. It was really easy to use! AND they are having a 50% off sale until Oct. 31, 2012! 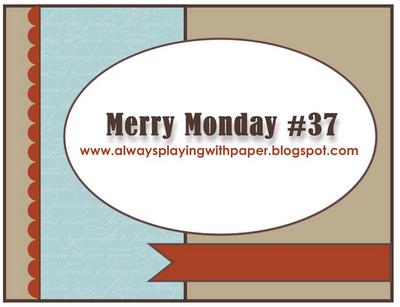 Now on with the card info;) The paper I used is Stampin’ Up! digital paper. 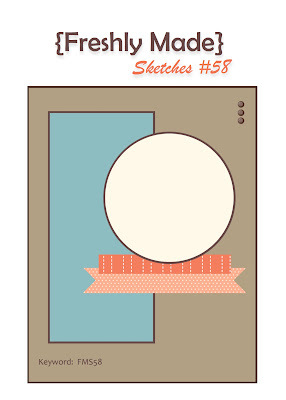 The background plaid is from Howlstooth & Scaringbone, you can get the paper, or the digital paper. I used digital paper, I like to resize my paper to “fit” my cards. The “moon” is also digital Crushed Curry. Hmmm, actually all the paper is digital, I print my “paper” on cardstock and then cut it out. My card is layered just like you would layer any card, the main image is popped up with Stampin’ Dimensionals. The “moon” was cut out with a Spellbinders Circle Die, and then I sponged Basic Black around the edges. I used the bat stamp from the Stampin’ Up! set Wicked Cool. I printed my main digital image on digital Very Vanilla. I even printed the black background papers digitally, only because I was printing everything else anyway. To finish it off, I added three colored, sparkly adhesive embellishments from Michaels. I was going to put either 3 orange or 3 black, but my granddaughters were my design consultants today, they are 6 & 7, and they wanted both! 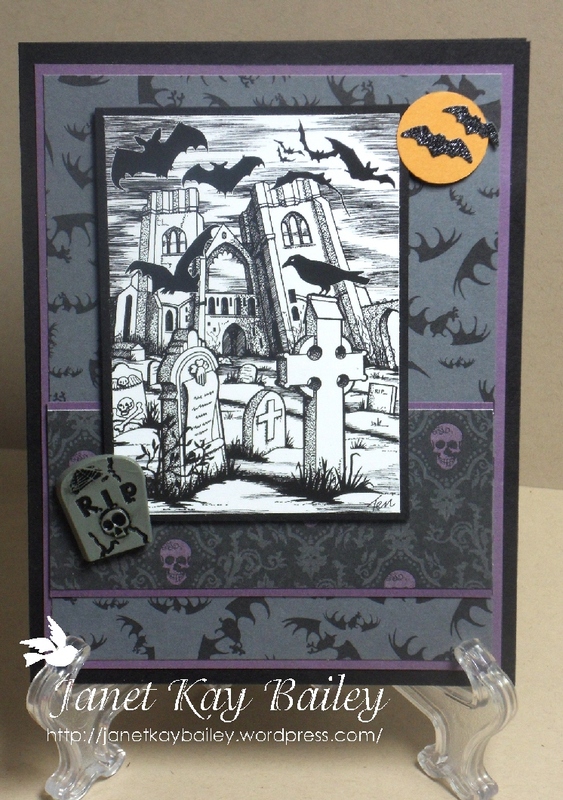 Filed under Challenges, Friday Mashup, Halloween, Raspberry Road Designs, Stampin' Up! Tagged as Card Blog Challenges, Card Making, Crafts, Digital cards, Halloween, Raspberry Road, Stampin' Up! Exciting updates from Stampin’ Up! 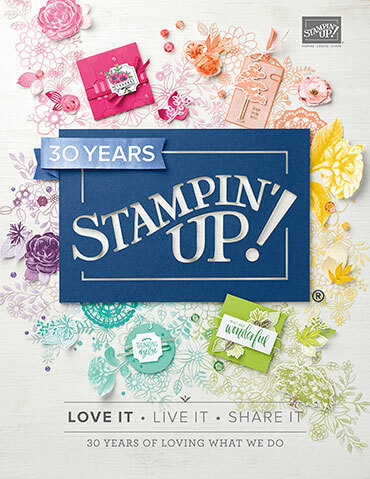 Wow, you won’t want to miss all the great things going on at Stampin’ Up! Please visit my Stampin’ Up! blog for all the info:) ! There is a very special SALE for Monday Oct. 29th only!!!! This is another awesome, cute, pre-colored digital image from Fred She Said! 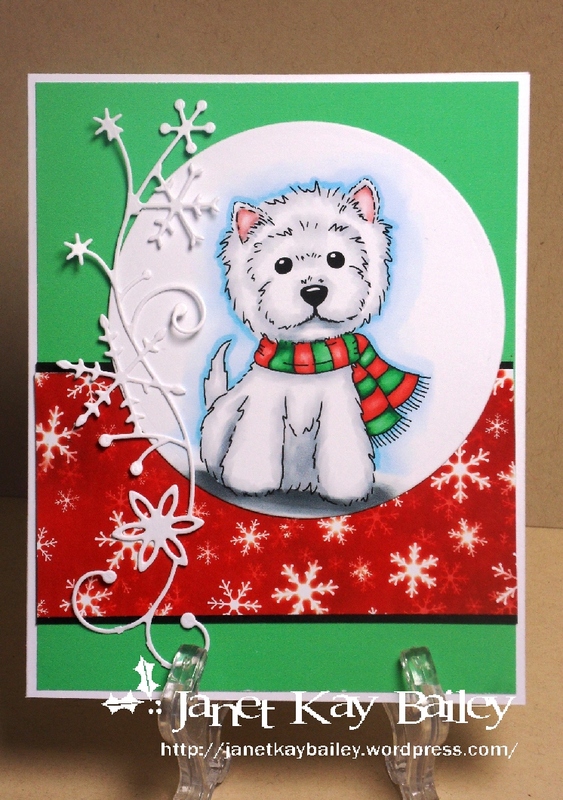 This super cute image is called Winter Westie. includes BOTH the DIGI and Pre-Coloured versions. -DIGI ( uncoloured ) is in JPG, PNG + printable sheet. Digi also includes an alternate Wesite WITHOUT a scarf. -Pre-coloured are in JPG and include 2 versions of scarf + printable SHEET. Thanks for stopping by today! Hope to see you again soon! Don’t forget to stop by Merry Monday and look at all the beautiful cards! Next week Fred She Said will be having another Blog Hop, be sure to stop back for prizes! Make a project with a “Christmas Ornament”. Or Make a project with some “Sparkle”. Or “Mash it Up” and create a “Christmas Project with some Sparkle”. Be sure to stop by over at the Friday Mashup page and have a look at all the other cards! 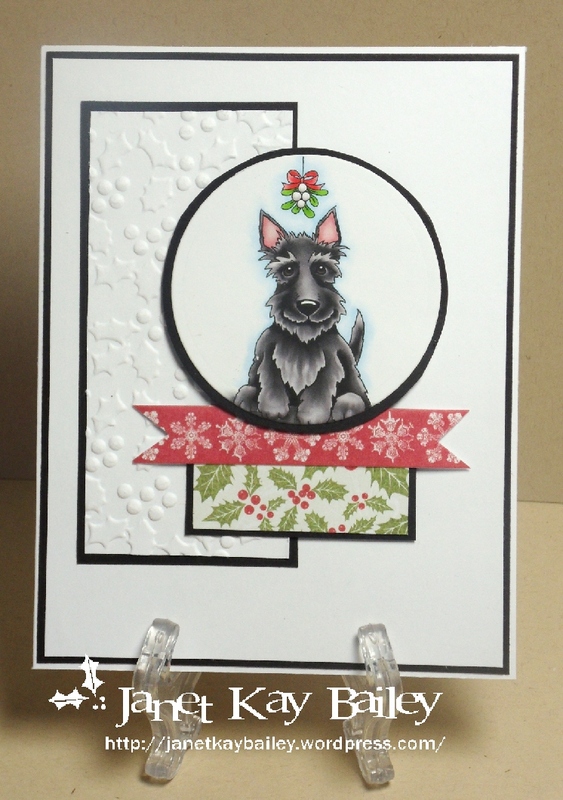 Filed under Challenges, Christmas, Friday Mashup, Memory Box Dies, Stampin' Up! The dotted paper is from the DSP set Frightful Sight. This is the regular paper which is retired, but I also have it in digital form from My Digital Studio, still available:) The top paper looks orange, but it’s actually More Mustard. The stamp pad I used is Lucky Limeade, as well as the ribbon, and one of the background layers. Thanks for coming by today:) My next card should be a Christmas card. See you soon! 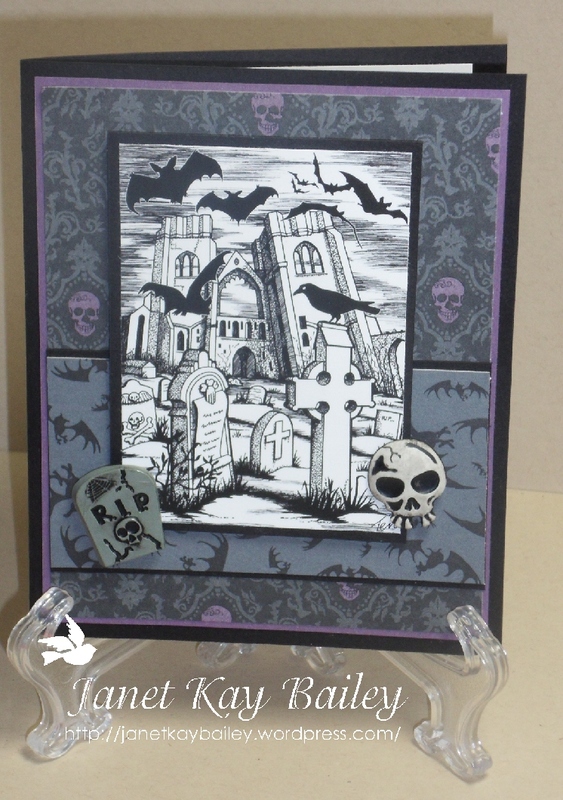 Filed under Challenges, Freshly Made, Halloween, Stampin' Up! 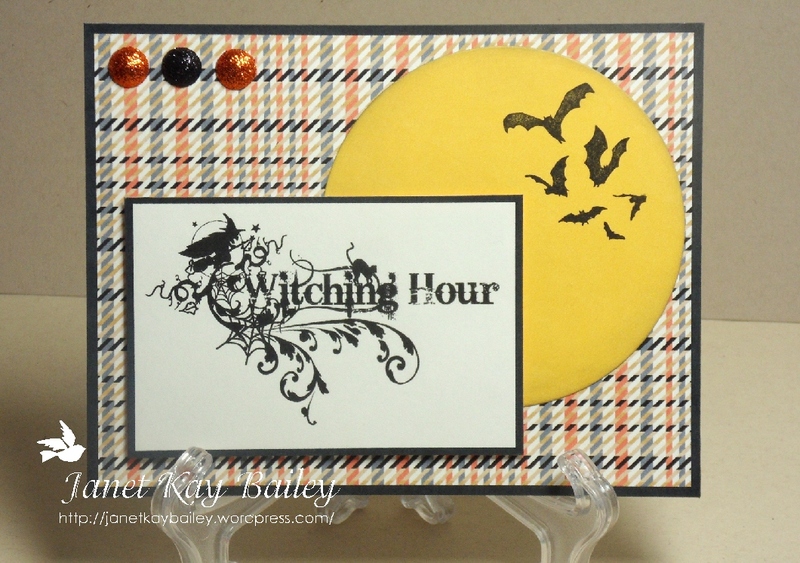 Tagged as Card Blog Challenges, Card Making, Halloween, Stampin' Up! This is an awesome, pre-colored digital image from Fred She Said! I’ve used this image set a number of times, it’s called Christmas Poinsettia Lantern. 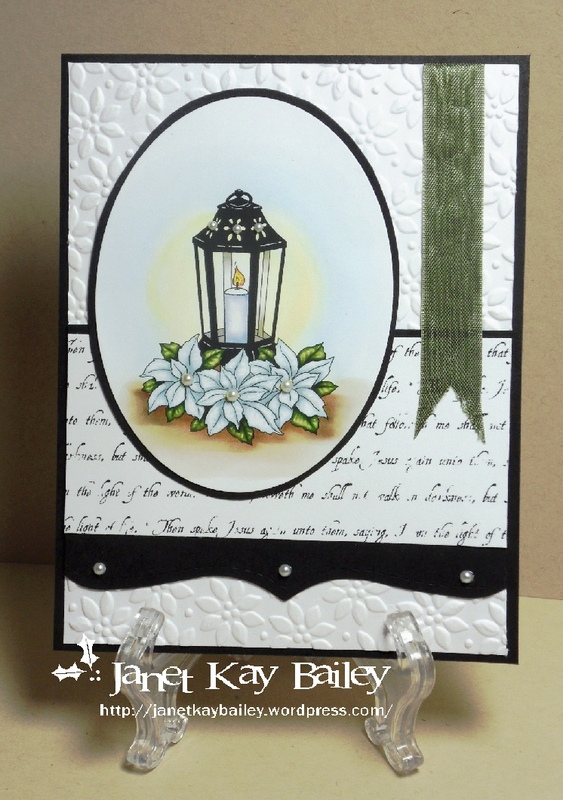 The set is nice and big and includes the script paper, another lantern with red flowers, sentiments, B& W images, and several different formats! I used my Stampin’ Up! Petals a Plenty embossing folder, also my Top Note die. 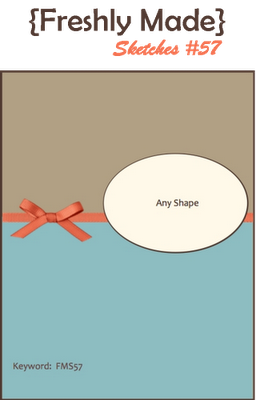 The ribbon is also SU, it’s Always Artichoke seam binding. The cardstock I used is all Black and White. If you’re thinking, wow, another pre-colored, Fred She Said digital image, you would be right! 🙂 lol I do love my Fred She Said images! 🙂 This image is called Emma The Hugger – Snowman Edition. This is one of Tracey’s “older” images, I still love it! I actually use it quite often:) ! This set includes a B&W version, and a decoupage sheet (images that you cut out and layer). I used another Stampin’ Up! embossing folder, but this one is retired:( Stampin’ Up! cardstock, White, Garden Green, Real Red, and a retired Brilliant Blue. I am embarrassed to say I forget which FSS set I pulled the sentiment from:( It’s either this set or the Lantern set. For both cards I used my Spellbinders Oval dies. 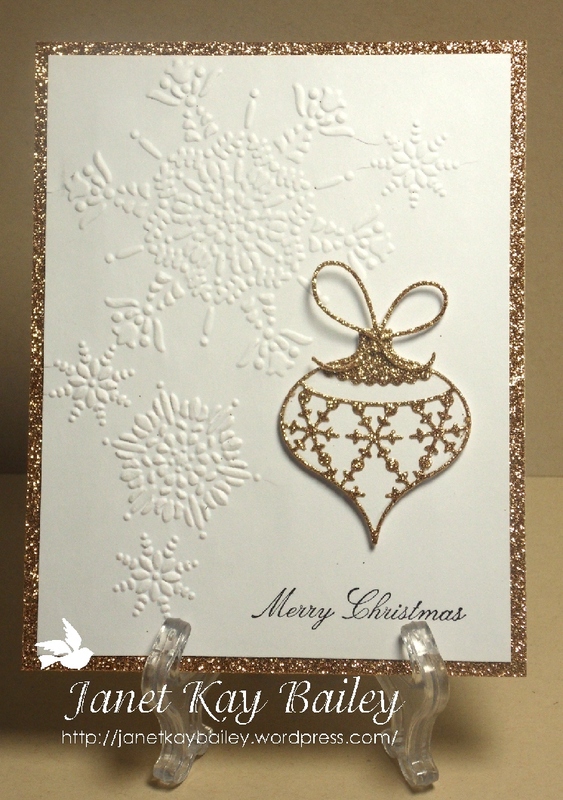 On this card I used a snowflake punch from Martha Stewart. 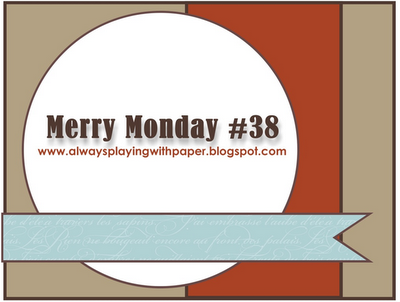 Filed under Always Playing With Paper, Challenges, Christmas, Emma, Fred She Said, Merry Monday, Stampin' Up!